Egg Shaped Vase. H-14", Pack of 6 pcs Discounts Apply ! Our egg shaped urn vase is the modern take on the traditional urn vase. In contrast to the traditional urn vase where the pedestal is evident, this vase offers a seamless footing creating a sleeker modern look. 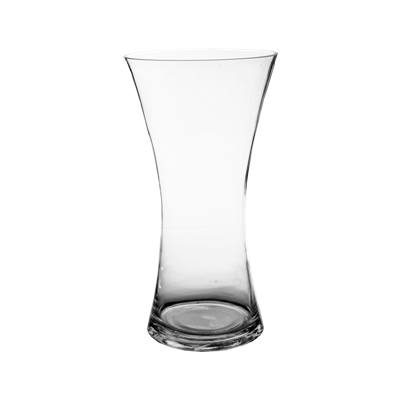 The clear glass vases provide additional latitude for the designer to use alternative ways to color the vase such as colored marbles or gem stones. If dried botanicals were to be used, layers of natural pebbles can used to embellish the design. Dimension: H-14", Open D - 7.5"